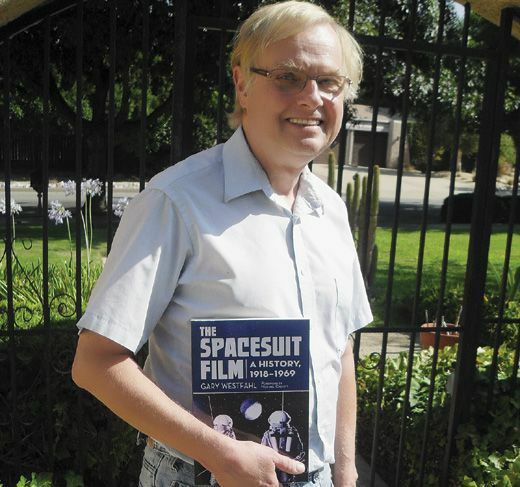 Author of the recently published The Spacesuit Film: A History, 1918–1969, Gary Westfahl has written or edited more than 20 books on science fiction. Associate editor Diane Tedeschi chatted with him by email in June. 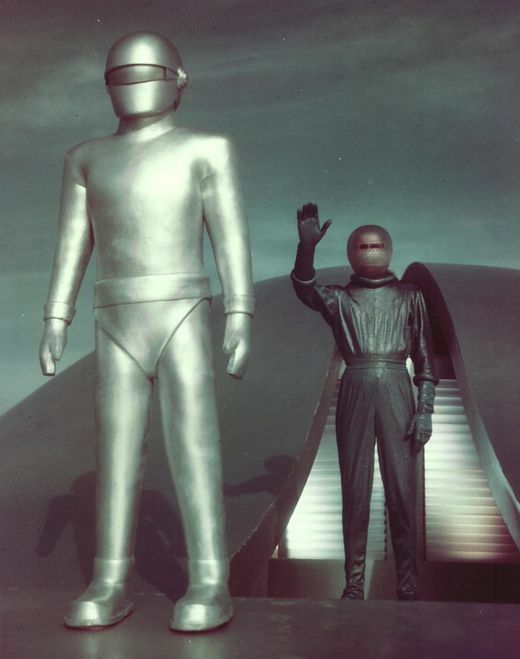 Air & Space: At what age did your passion for science fiction film develop? Do you remember the first sci fi film that you saw? If yes, what was so memorable about this film? Westfahl: I probably first became interested in science fiction films around the age of seven, although my parents did not always allow me to see them. Getting science fiction books from the library was far less problematic. As a matter of family lore, the first science fiction films I ever watched were a 1957 triple feature of The Deadly Mantis, The Zombies of Mora Tau, and The Man Who Turned to Stone, but I have no memories of these films. The first science fiction film that really had an impact on me was Space Master X-7 (1958), a poorly made but enthralling film about a woman who picks up a sort of virus from an unmanned space probe that causes her to create a pulsating fungus called “bloodrust” whenever she touches anything. For a while, I was literally terrified by the film, as I would check under the bed and in the closet of every hotel room we entered to make sure that no bloodrust was lurking therein. The larger point the film may have communicated to me, one emphasized in my book, was that outer space is stranger than we imagine, and the things we find there may not conform to human expectations – such as forms of alien life that do not resemble a man in a rubber suit. In your experience, is there a big overlap between space exploration buffs and sci fi fans? Most science fiction fans, I believe, are also enthusiastic supporters of the space program. One might note, for example, that former astronaut Story Musgrave will be a Guest of Honor at the next World Science Fiction Convention in Chicago; science fiction writers like Ben Bova, Arthur C. Clarke, and Lee Correy have written nonfiction books advocating new initiatives in space; and every science fiction convention I have attended included a table of people representing groups promoting space travel. 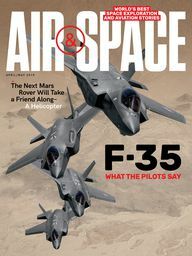 I personally confirmed this connection in 2003 when, in the wake of the Columbia disaster, I wrote an online commentary suggesting that science fiction had played a role in unwisely pushing the American space program too far too quickly, when the proper technology was not yet in place, and that it was time to consider a moratorium on human space travel. The immediate responses from the science fiction community were overwhelmingly negative, even vitriolic, so much so that author Michael Cassutt then wrote his own commentary about the controversy, arguing that support for the space program constituted the “third rail” of science fiction, analogous to Social Security in the political arena, something that no one in the science fiction community could safely criticize. 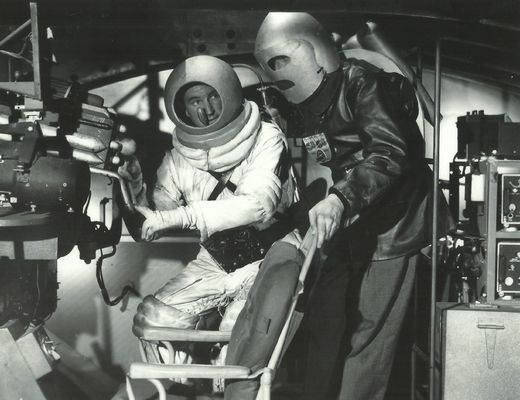 How do you define a “spacesuit film”? 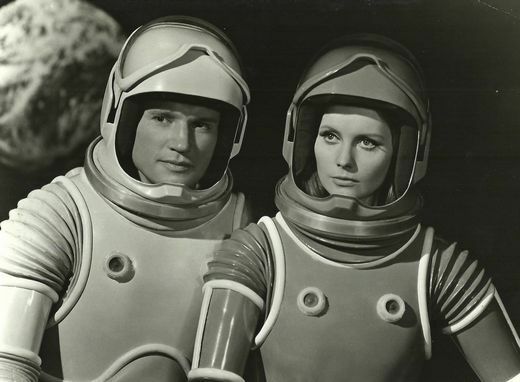 And how important are spacesuit films as a sub-genre of science fiction film? I define a spacesuit film as one which endeavors to portray space travel realistically, and since the constant danger of the vacuum of space means that space travelers will always have to wear spacesuits, or have them handy in case of emergencies, the presence of spacesuits in a space film can serve as one clear indication that the filmmakers understand, and are seeking to convey, the harsh realities of space (although, as my book documents at length, there are also a number of films, which I term pseudo-spacesuit films, that include spacesuits in their otherwise nonsensical stories). How important these films are is a matter of opinion. For me, they constitute the most important kind of science fiction film, since they are endeavoring to construct, even if clumsily, an entirely new sort of narrative to match the entirely new sort of experience that a permanent life in space will necessarily entail. Living in space or on other worlds will be utterly different than living on Earth, in innumerable respects, and we need to recognize this now in order to begin preparing for this revolutionary transformation in human history. Other space films, which dubiously maintain that life in space will be basically similar to life on Earth, and meekly follow conventional narrative patterns like melodrama, comedy, and horror, are by this standard both unadventurous and dangerously fallacious if considered as actual anticipations of the future. 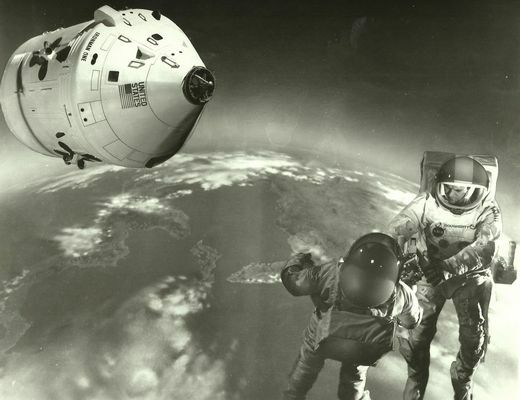 For other critics, though, spacesuit films are merely an unimportant and rather dull subcategory of science fiction film, as they prefer the more familiar sort of entertainment offered by “Star Trek” (1966-1969) and similar films and television programs. 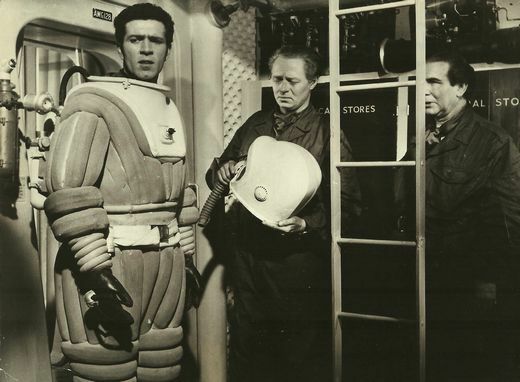 What is a classic example of a spacesuit film? And why is this film a good example of the sub-genre? 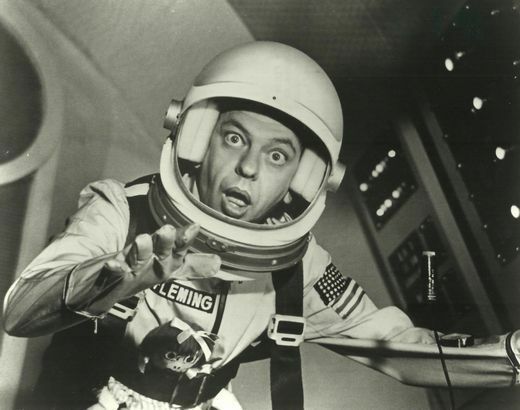 To me, the film that essentially defined the subgenre was Destination Moon (1950); two earlier films, the German Frau im Mond (Woman in the Moon) (1929) and the Russian Kosmicheskiy Reys (The Space Voyage) (1935), did endeavor to portray space travel in a realistic manner, but Destination Moon was really the first film to fully achieve this goal, and perhaps most importantly, it also inspired a series of other films, including Project Moonbase (1953), Riders to the Stars (1954), Conquest of Space (1955), and the television series Men into Space (1959-1960), with similar priorities. 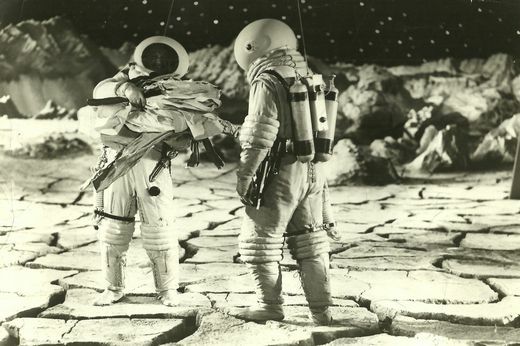 Perhaps the most striking scene in Destination Moon shows three spacesuited astronauts emerging from their spaceship to stand on its surface, upside down from the perspective of viewers, to contemplate the dark immensity of space; to me, this epitomizes the value of such films in showing just how strange and disorienting life in space will really be. Are there any film spacesuits that are notably realistic?